Today’s guest on the Answers From Leadership podcast is Timothy Carroll. Timothy can hardly remember a time when leadership and performance weren’t important themes in life. The son of an entrepreneur, he was raised in an environment where leadership values were prized, and no one was surprised when, later in life, Timothy started a successful business of his own. An avid sportsman from childhood, Timothy mastered Barefoot Waterskiing and was chosen at just 16 years old to represent New Zealand at four World Championships. What do you want leaders to know about you? There’s a few things I could share about myself. My journey started being an athlete. I used to barefoot water ski for New Zealand and competed in four championships. Later in my life, I decided to help people find how to improve their performance and achieve their full potential. The first thing that I’ll share is that leadership is about being a role model. What does that look like? That means you being the change you want to see in the world. Gandhi mentioned that and I think it’s the number one thing. You have to walk the talk. Two, if you can’t lead yourself, you can’t really lead others. To do that, you have to understand how you work as a human being. Three is the application of leadership skills and being able to really inspire others. Know how to get the best out of others. 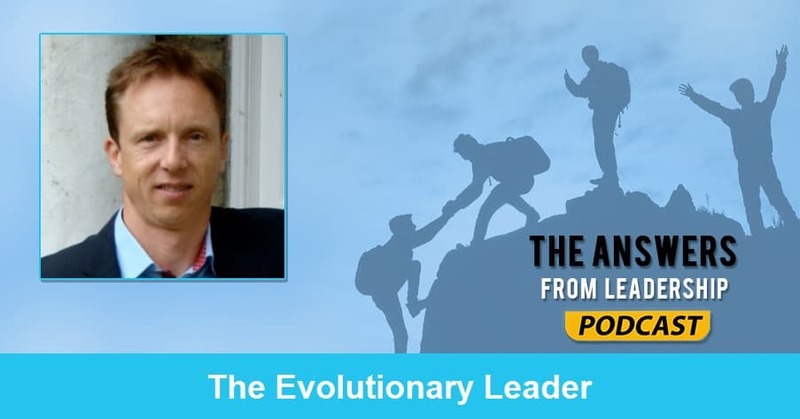 In the Evolutionary Leader, I noticed you mentioned that leaders are failing to improve their performance. Why do you think they’re failing to improve? That’s a bold statement. Of course, I don’t think that statement is true for everyone. I would say that perhaps what I was pointing to was that leadership isn’t learning in depth about how people work. In an MBA, you might spend a small amount time in the MBA on the psychology of positive psychology or the psychology of people or business. But it’s not a major focus. The key there is that it is important to learn about how the human being works. To bridge that gap. What’s one or two ways leaders can begin to achieve their best? There’s different levels of leadership. There’s transactional leadership. Then there’s transformational leadership. Finally, there’s evolutionary leadership. 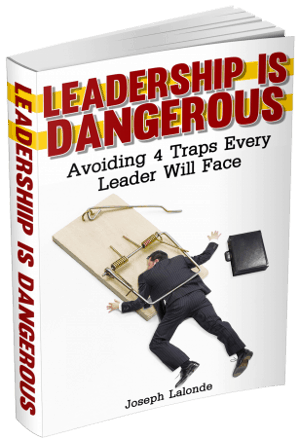 A majority of leaders have learned transactional leadership really well. To go to the next level, leadership needs to under how to engage their people in a transformational way. In trying to create this engagement, are there any struggles or challenges a leader needs to look out for? Number one is having the humility to being open to growing and improving. Two is to work with someone who’s able to support you effectively and hold up a mirror to you. And then three is to create a plan to do that. And develop yourself. In regards to your mention of leaders being isolated, what would you recommend leaders do? I think it’s a lonely place at the top… If you look take a look at Olympians or basketball players like LeBron James or Jason Day, the number one golfer in the world currently, all of these athletes are additced to the process of getting better. They’re always hunting for that extra percent. That’s because it’ll separate them from their competitors. If you don’t have that attitude, it’s easy to get chewed up and spit out by other leaders who do have that attitude. For leaders to move out of isolation, they need to connect with other leaders who are hungry. Who are hungry to connect and grow. I would also encourage you to work with an outside consultant who has results in working with leaders in growing. In our previous chat, you mentioned William Truebridge, the world’s best free-diver. We talked about how he had to enter into the mental state of flow. How does that play into evolutionary leadership? I’m glad you brought that question up. In my experience as an athlete, when performance happened at it’s best, what I noticed was that everything seemed to flow. There was a flow about it. I got super curious about this. And I wondered how I could tap into that. So I began studying the topic. I asked other athletes and they described similar experiences. What do you wish you would have known about leadership in your 20’s? Oh man…. I think when I was younger I would have known more about the psychology of leadership. This is something that I didn’t learn until I was in my mid-20’s. I competed in my first world championship when I was 18. And I think if I had known how to lead myself better, through understanding how I worked as a human being, I would have performed better. I think, as a leader, you’ve got to focus on working on yourself as a whole leader. In the book the Evolutionary Leader, there are four things we really focus on. One is mastery of the mind. The second thing is the mastery of emotion. The third one is the physical mastery. And the last one is how do you be super present. How can listeners connect with you and get your book?